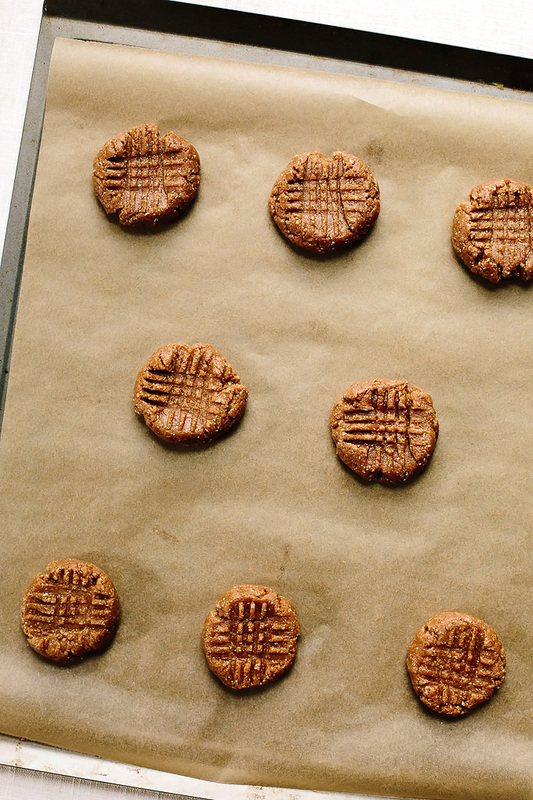 You’ve just stumbled upon the recipe for the BEST vegan peanut butter cookies ever. This recipe has received over 100 5-star reviews! Note: This post was originally published on October 6, 2013 but has since been updated with new photos and helpful tips! The recipe is the same. 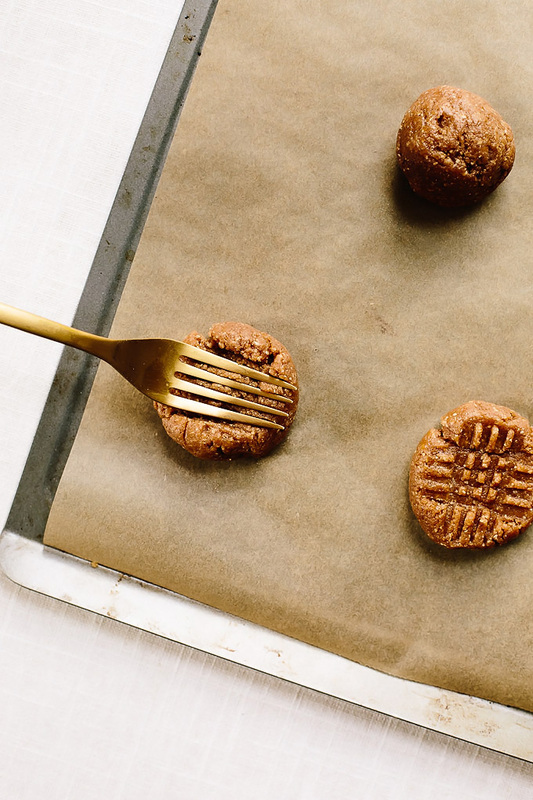 You’ve just stumbled upon an easy, fool-proof recipe for the BEST vegan peanut butter cookies. This recipe has earned the praises of hundreds and has been viewed nearly a million times. Point being: You’re in good hands. If it’s tasty pb cookies you’re looking for, I’ve got your back. To make these cookies, you’ll start by gathering your ingredients. You’ll need just 7 ingredients (salt + water INCLUDED). I promised easy, didn’t I? Oat flour (store-bought or make your own from rolled oats). Brown sugar (or coconut sugar for a less refined treat). Peanut butter (or sunflower butter or almond butter). Once you’ve rounded up your ingredients, it’s time to get to work. Using a stand mixer or hand mixer, cream together the peanut butter and brown sugar for one minute. Then, add the vanilla and beat for another 30 seconds. Next, whisk together the oat flour, baking soda, and sea salt. Then, slowly add the oat flour mixture to the peanut butter mixture while beating. Once a crumbly dough has formed, add the water and continue to beat until incorporated. Line two baking sheets with parchment paper, and roll the dough into balls (you want about 2 tablespoons of dough per cookie). Drop the dough balls onto the lined pans. Then, use a fork to flatten the dough balls one way and then the other, creating a crisscross pattern across the top of each. Once you’ve flattened all the cookie dough balls, bake for just 8 to 12 minutes, or until starting to turn golden at the edges. They bake quickly, so be sure to keep an eye on them. Remove the cookies from the oven and let them cool completely before moving or enjoying. They’re quite tender and soft, especially when they’re warm, so it’s important to let them rest before fiddling with them. 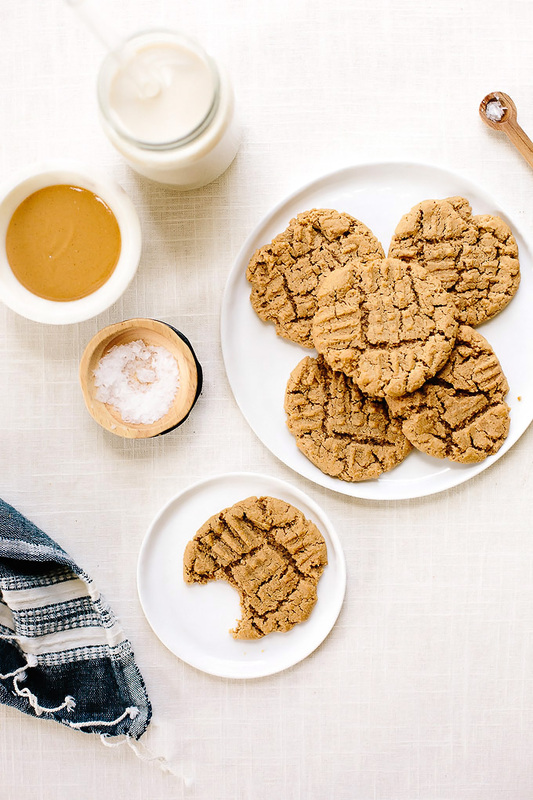 The path to making these peanut butter cookies vegan and gluten-free means that all the extraneous ingredients are cleared away, allowing their true nutty potential to flourish and shine. I think you’ll find these cookies to be the softest, most tender, and peanut-buttery you’ve ever tasted. The use of brown sugar adds to their density and lends a warm, caramel layer to their peanut butter decadence. They have a melt-in-your-mouth quality to them, and they pair perfectly with an ice cold glass of plant-based milk. And if you’d like to repurpose these cookies in a sweet, summery treat, be sure to checkout this recipe for vegan double peanut butter ice cream sandwiches. Also, see the comments below for fun and interesting ways readers have modified this recipe—hint: the addition of chocolate chips seems to be a win! The softest and most tender peanut butter cookies ever... and you'd never know they were vegan and gluten free unless you read this recipe! Peanut butter heaven wrapped up in pretty little crisscrossed packages. (tip: make your own oat flour by tossing rolled oats in a food processor and processing for 2-3 minutes until a fine "flour" has formed). In a large mixing bowl, cream together the peanut butter and brown sugar for 1 minute. Add in the vanilla extract and beat for another 30 seconds. 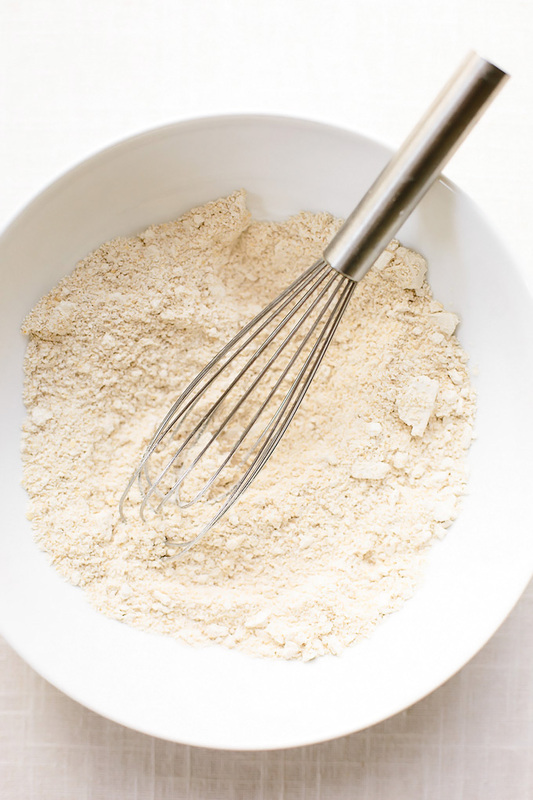 In a separate mixing bowl, whisk together the dry ingredients (oat flour, baking soda, and salt). 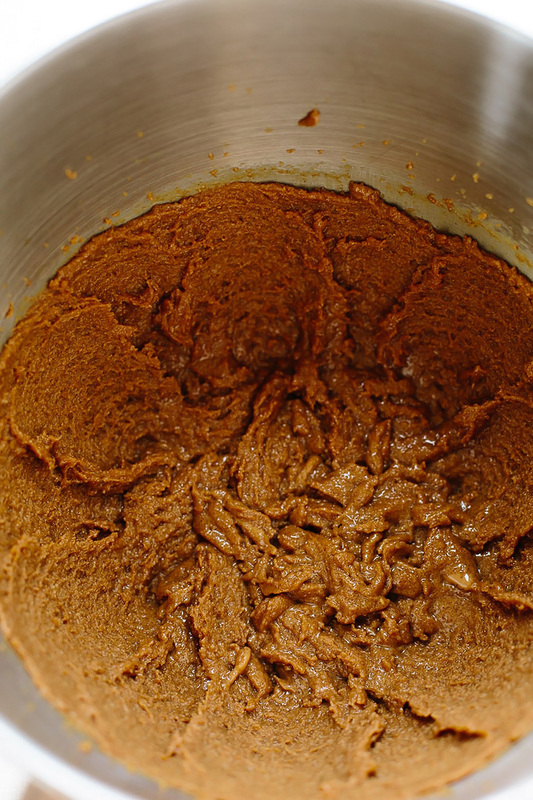 While beating the peanut butter mixture, slowly add in the oat flour mixture and beat until a crumby dough forms. Add the water and continue to beat until distributed. Do not over mix. 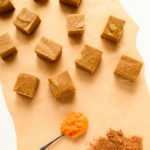 Roll the dough into balls (about 1 1/2 - 2 tablespoons per cookie), drop onto parchment-lined pan, and flatten with a fork one way and then the other to create a crisscross pattern. Bake for 8-12 minutes, or until just starting to turn golden at the edges (they bake FAST, so watch them carefully). Cool completely on the pan before moving or enjoy. Store in an airtight plastic container to keep the cookies soft and chewy. *Nut-free option: Use sunflower butter in place of the peanut butter. **Refined-Sugar-Free option: Use coconut sugar in place of the brown sugar. ***Add chocolate chips for a chocolaty twist! Those are making my mouth water…would be great with my coffee. Just made these, but did not have oat flour so I used almond flour. Delicious! Thank You!!! These were delicious :) I look forward to more vegan sweets from you! I made these the other day for a relative who is vegan and they were such a hit with everyone in the house. Thanks for posting this great recipe! I’m so glad that you made them AND they were a hit! Thanks for the lovely feedback and happy 2014! Delicious. I used a scant half cup of almond flour and an equal amount of arrowroot flour. Awesome! I made these yesterday, subbing crunchy natural (not no stir, it was what i had) almond butter, and coconut oil for the vegan spread. They turned out fantastic! chewy, tender, great flavor. my youngest is allergic to eggs, wheat, and dairy, and since I was making cookies for her sister I needed to make something for her. she is thrilled! Thank you for the great recipe! What do you mean by vegan spread? I think she meant that because she used “stir peanut butter” instead of no stir, she had to adapt her peanut butter (which was just crushed peanuts) into a nut butter blend with an oil in it. Often no stir peanut butters contain oils, sugar, and salt. Thanks for reading and commenting! Everything that I have read suggests that most, if not all, baking sodas and baking powders are free of animal products. Have you heard otherwise? Good to know! Thanks for sharing that info. Do you know if Trader Joe’s brand is free of animal testing? TJ baking soda and powder is probably ok as their beauty products are not tested on animals and mostly vegan. Bob’s Red Mill does not test on animals either. Yay! I have pb that’s close to expiration (we stocked up! ), so I looked up a vegan cookie recipe. I’m about to try these. I’ll let you know how they taste with my glass of “milk”. Just finished making these. Note: I used my regular All-Purpose flour, but this recipe made some soft, delicious cookies! I’m excited to share them with husband. He loves peanut butter! Thanks! I’m so glad you’re enjoying them and it’s helpful to know that they’re still just as tasty with all purpose flour! Thanks for the update! I just made these and they were so delicious! I split the brown sugar with maple sugar (my husband’s family is from NH, so there are a lot of maple products in the house!!) and it gave the cookies a wonderful maple flavor! I used regular all-purpose flour since that is all I had- for my variation I had to bake them a little bit longer, but they still came out chewy and delicious! 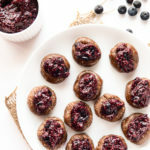 I’m vegan, but my husband and his family are not; this sweet treat was a hit with everyone and they seemed very surprised that a vegan diet can taste so wonderful! Thanks so much for the recipe!!! Oh my gosh, you’re so sweet! Thanks for commenting back with your 5-star rating! Also, love when the husbands beg for vegan food — it’s so cute, isn’t it? This is a great recipe, and so simple! I added a little (1/4 c.) Maple Syrup, and they are fantastic! 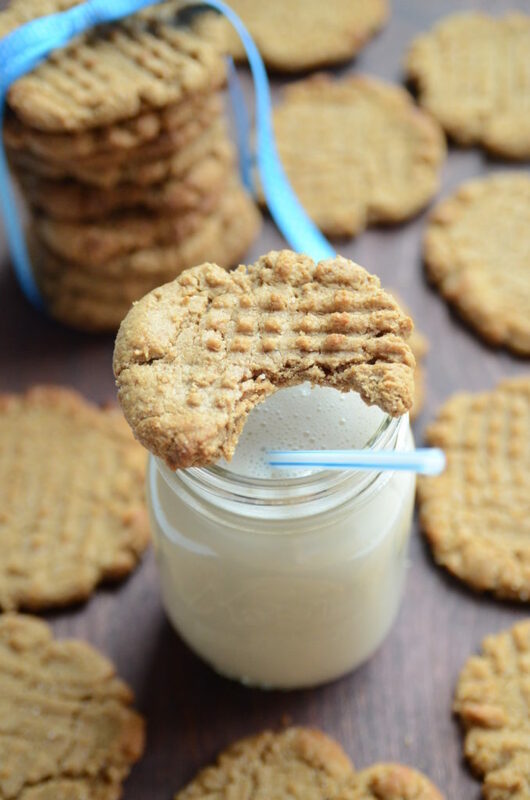 This is the perfect peanut butter cookie recipe!! They are just the texture and flavor I was looking for. Plus, they couldn’t have been easier to make. 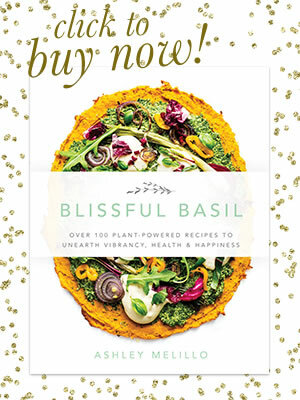 As a vegetarian making the transition to a vegan lifestyle, I am always looking for new tasty recipes to add to my recipe box, and this is a keeper. I did have to make one adjustment because I didn’t have enough creamy peanut butter, so I used 1/2 cup creamy and 1/2 cup crunchy. I have to say, I loved the added texture of the crunch! As another commenter said, they took a little longer to bake, about 10 minutes for me. My boyfriend tried these not knowing they were vegan and raved about how good they were. When I told him they were vegan, he said, “You tricked me!” Keep the great recipes coming! Hi Becky! Umm, thank you for the amazingly sweet words! I need to try this creamy-crunchy pb combo the next time I make these cookies. Isn’t it the best when our loved ones unknowingly eat vegan foods and melt over their deliciousness?! I “trick” my husband all the time, too! Also, thank you for noting that the baking time was closer to 10 minutes — I will update the recipe to reflect the variance in baking times. I’m quickly learning that the oven in our new-ish home is like a mini inferno, and it seems to bake EVERYTHING quicker than expected! These look amazing, but do you think I could sub the peanut butter with Sunbutter? Yes, I definitely think that would work! You might have to add a bit more oat flour if the sunbutter is runny but otherwise I think it should sub really well. Please let me know how it goes! This recipe is great! Super easy to make and super tasty!! I’m allergic to peanuts so I subbed the peanut butter with a toasted soy spread called wow butter (tastes just like peanut butter). They were amazing!!! You can absolutely use regular flour and they will turn out just as delicious! Hello, Ashley. I don’t have brown sugar so can I make them with honey?? Hi Donika, I’m not sure how they’ll turn out with honey as I haven’t tried substituting with it but please let me know how it goes/went if you try it! This recipe was great! Just what I was looking for. Thank you. These were fabulous!!! I am not vegan, but have discovered the joys of vegan baking. At first glance, I wondered how cookies without the usual butter/egg combination would taste, but these are absolutely delicious and so easy to make. I used my Nutribullet to make oat flour – quick and easy! Hi Pam! I’m so happy to hear that you enjoyed them so much! Great tip to make the oat flour in a Nutribullet. Thanks for sharing! These cookies are awesome! Next time, I am going to put the cookies in the freezer for 30 mins or so to reduce them spreading out. Mine were a bit thin. Thanks, Ashley. 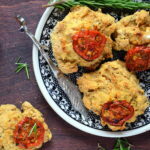 I am a new vegan so it’s a pleasure to read your blog and try out some delicious recipes. I’m so glad you enjoyed them and thank you for the feedback! Great idea about freezing the dough prior to baking, as they can spread out a bit. I might have to add that into the recipe notes! SOOOO GOOD! I added coconut oil in, and subbed the water with almond milk. BEST VEGAN COOKIES I HAVE FOUND TO DATE! Thank you so much for sharing it! You’re making me blush! Thank you so much for the amazing cookie compliments, Carly (try saying that 10 times fast). Can I ask how much coconut oil you added? Just asking in case other readers want to make that addition since coconut oil has so many awesome health benefits. Thanks for reading, baking, and commenting! I made these tonight with maple syrup in place of the sugar. I was worried they’d be a bit too soft as the batter was quite runnuly but they turned out fantastic! I actually forgot about them and they didn’t over cook. how much maple syrup did you use? wanted to sub the sugar for honey, but unsure of how much to use!! I am not much of a baker, but I had a huge craving for (vegan, gluten-free) peanut butter cookies last night. After searching through recipes that had ingredients I didn’t care for, or long lists of various flours and binders, I found yours and thought it looked like something I could handle. I blended my own oat flour, leaving just a few larger flakes intact and used a combo of almond butter and peanut butter (because I didn’t have a full cup of pb). The cookies were fantastic! Exactly what I wanted – peanutty, not too sweet, chewy and a little salty. This morning, I ate one with my coffee and it had become satisfyingly crunchy around the edges and maintained a really good chewiness in the centre. Thank you, thank you! This may be my go-to recipe from now on. I’m so glad you enjoyed them, Mishka! Thank you for sharing your thoughts on them — you’ve inspired me to try these with my morning coffee! Hey! I was wondering if I could use baking powder instead of baking soda? Thanks! Hi Alba! I’ve never tried substituting baking powder for baking soda in this recipe, so I can’t vouch for it having the same results. However, usually you need 2-3 times the amount in order to sub baking powder for baking soda, but it can affect the flavor. If you try it, please comment and let me know how it works! Good luck! 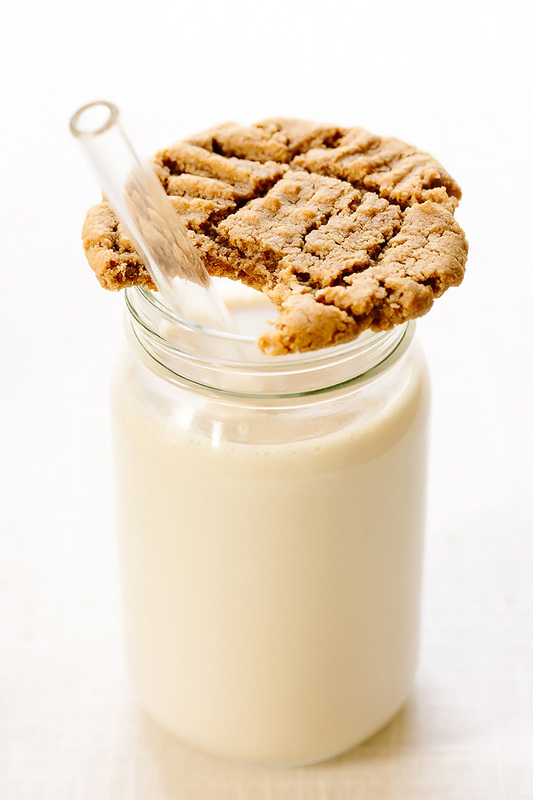 Not sure how many vegans are going to want to dip their cookies in a cold glass of milk… but this recipe looks great! These were really delicious. Instead of water I used chocolate almond milk. They were sooo good. What a fabulous idea to use chocolate almond milk! Thanks for the wonderful idea, and so glad you enjoyed the cookies! I just made these and they were amazing. I was really craving something sweet for dessert and it was really easy I already had all the ingredients. It’s so nice to find eggless recipes. Thank you! Thank you for commenting! I’m so glad you enjoyed the cookies, Tejal! Best Peanut butter cookies ever! something so delish! Simple and quick. I am eatting too much though lol, also because of this recipe, I’m making my own oat flour which u drop your oats in a blender or proceesor and done! going to try the other recipesssss. You go girl! These cookies were amazing!!!! Followed the recipe exactly. Made my own oat flour out of oats like the notes said. Easy! My non vegan fiancé is on his 4th cookie. My stupid iPhone won’t let me rate w the stars but 5stars!!!! Thank you so much for this recipe, I can’t wait to try it! Please note that BROWN SUGAR IS NOT ALWAYS VEGAN as the processing of the sugar uses Bone Char from cow bones. Hi Andrea! Thanks for the insight on brown sugar — I had no idea! I just checked on the one that I use (Trader Joe’s Organic Brown Sugar), and it is vegan. Thank goodness! I stumbled across your recipe and made them as fast as I could gather up the ingredients!!! I used 1/4 teaspoon of kosher salt in lieu of the 1/8 teaspoon of regular salt and in my food processor I pulsed my own oat flour using gf whole oats. I went with your readers suggestion and used almond milk instead of water. Fan-friggin’-tastic peanut butter cookies!!! THANKS for sharing this recipe and I hope my readers love them as much as I do!!! PS….I went with the full cup of oat flour too!!! Made these with my 2 year old son yesterday and they were amazing! Thanks! How can I share this recipe on my Twitter? Hi Julie! I’m so glad you enjoyed the peanut butter cookies! You can share the recipe on Twitter by linking directly to the post. Thanks for checking and for your lovely feedback! These are amazing!!!!! Best peanut butter cookie recipe I have ever tried. Thank you!! I’m so glad that you enjoyed them! This recipe is simply amazing! I add chocolate chips to my cookies to make it even more mouth watering. I hope that is okay that I made a printable of this recipe, it was just so delicious! Hi Janelle! I’m so glad you’re enjoying the recipe! Great idea adding in chocolate chips! 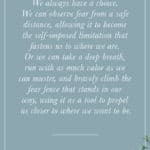 Sharing the recipe is fine as long as you link back to both my homepage and the original recipe post within the printable. Thanks for checking! I made these this morning for a friends birthday who is not Vegan or GF. I looked all over the internet for a good pb cookie recipe that didn’t have rice flour but oat flour – as my family is gluten free; but my non GF friends can taste the rice flour I put in things. This was IT!! All I can say is that these are AWESOME! The only thing I would change next time I made them would be a little more peanut butter, but I really like Peanut butter. I also added a tsp of Baking powder to help the cookie not spread. I have found with GF baking that it helps. These were great, because it was just simple ingredients, nothing weird; no special mixing, basic stuff. you would never know these were without the eggs and butter. Love them! Seriously if anyone has doubts, DONT! Just go for it, you’ll be glad you did! Hi Eileen! Thanks so much for commenting with your feedback! I’m so glad you enjoyed the cookies so much. It makes me so happy to hear about people sharing them with friends and family and having positive results! That is a great tip about adding baking powder — I never would have thought to do add it in to prevent the cookies from spreading. I’ll absolutely try it the next time I make them! Thanks again for your kind words! Umm, genius idea to add trail mix, granola and cinnamon; that sounds amazing! Glad you’re enjoying the recipe, Autumn! hi, can u add a photo of the dough after adding the water? Hi Eliko! I can add a photo of the dough the next time I make these; however, the dough should not be watery after adding the 1/4 cup of water or almond milk. It should add just enough moisture to get the dough to hold together nicely so that you can form the cookies for baking. What kind of peanut butter did you use? actually after 5 minutes the dough was ok to work with.but when i tryed to make the cross pattern the fork just sticked to the dough . after 10 minutes in the oven the cookies spreaded ALL over the baking sheets – is it ok? Hmm, it does sound like the dough was a bit too wet and the cookies typically don’t spread out like that; however, they should still taste delicious and hold up fine. You can try chilling the dough for 30 minutes or more before baking next time or add in a touch more oat flour if you want to reduce the spreading. Oh. My. God. I’ve been making peanut butter cookies since I was a kid, and these are the best! I was low on peanut butter, so I just made a 1/2 batch–it worked perfectly. I used 1/2 cup of oat flour for the 1/2 batch, and coconut milk instead of water. The perfect cookie for a rainy night. I think the texture would be something like Shortbread, especially if you use some cornstarch in place of about 1/4 cup oat flour. I’m so glad you enjoyed them, Amanda! Thanks for commenting! Hi Shayna! I’m so happy to hear they worked with soynut butter. Thanks for sharing your modification! Thanks, Bryce! I’m so glad you’re enjoying them! Thanks, Ashley! So happy to hear you’re loving each bite! YUM! Thank you for this recipe! Delicious! and my PB Cookie fans didn’t even know they were vegan! Just made these and my husband who’s not vegan LOVED them, he thought they were “even better than the non vegan”. I used all purpose flour since it was what I had and left them in the oven for double the time, they are delicious. Thank you ! Hi Raquel! I’m so happy to hear that you and your husband loved the cookies! What a great compliment that he thought they were better than the “non-vegan” kind :) Thanks for taking the time to report back and provide the notes on your adjustments with all purpose flour. Hi! I was looking for a recipe with oat flour and natural peanut butter, and here they are! Thanks! Yes, I used the kind of peanut butter you have to stir, and it was so hard, I emptied the entire new jar into my food processor, whirred it smooth, and scraped the unused part right back into the jar! The recipe worked great! I used vanilla almond milk, and made the cookies not as flat. They are beautiful, tender, and delish! And I fell, almost guilt-free! Win-win! SO glad I found your blog! Hi Ashley! 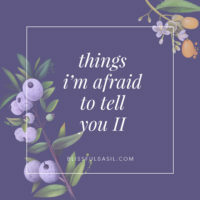 Today is my first day finding your blog and I’m so glad that I did! I had a crazy PB cookie craving hit and these little gems were put to the test! I’m a chewy cookie girl so I went for the whole cup of flour. I also subbed a homemade almond/walnut butter for the pb and coconut palm sugar for the brown sugar and I added Enjoy mini chocolate chips. My batch was too loose to press with a fork so I thought they might be a flop but they turned out AMAZING! I usually roll half of my batter in plastic wrap and refrigerate so I can slice a couple singles to bake after my kids go to sleep, this recipe will be perfect for that! I’m keeping this recipe in my arsenal! Thanks so much! Hi, Marlo! I’m so glad that you found Blissful Basil and had a chance to make these cookies and enjoyed them! Thank you for outlining your substitutions; it’s always wonderful to hear that the cookies turn out even with adjustments. I definitely need to try adding in mini chocolate chips; peanut butter + chocolate = the best! Made these for the second time tonight and once again they are dee-licious! Both times I made the oat flour with my Nutribullet and I used natural peanut butter which does separate but they were perfect! The first time I made them tender and the second time I went for chewy; either/or is great. I love how quick and easy these are to make; this is officially my go-to peanut butter cookie recipe! Thanks for this! Wow, just wanted to say thanks so much for sharing this recipe, these cookies are amazing! I LOVE that all of the ingredients are healthy too, making them pretty guilt-free in my books. It can be tough to find healthy-but-delicious sweet vegan recipes (that aren’t a raw vegan tart!). So good to see a recipe without vegan spread or general flour (I sometimes don’t even feel that comfortable using wholemeal flour, to be honest). I used coconut sugar and natural peanut butter and it was great. Also sneaked in some vegan sugar free dark choc chips and some ripe banana chunks! Super duper delicious. Also, I love the oat flour. These cookies are actually really filling and satisfying compared to cookies that call for normal flour – I think this is due to the oat flour (and the peanut butter, of course!). So good. Thanks again! It’s people like you who are making the vegan world more friendly and accessible, gotta love that! Alex! Thanks for taking the time to write such a long, thoughtful, and sweet comment. I really appreciate the feedback, and I’m so glad you enjoyed the cookies. Adding chocolate and peanut butter chunks sounds like the best idea ever; I will have to try that the next time I make these. I’ll make a note in the recipe that coconut sugar can be used in place of brown sugar, so thank you for noting that substitution! WAY too sweet. Offensively sweet. Too bad. Hi Anneli, I’m sorry that you felt that these were too sweet! I’ve never heard that complaint about these cookies before, but you can always cut back on the brown sugar or use coconut sugar instead. I use about 1 1/4 cup of cane sugar and add about 3-4 tablespoons of molasses…..they are just right on the sweetness! Any suggestion to replace oat flour, have a son , no gluten,dairy,egg or oats it mimics gluten in the body. Hi there! Can your son have buckwheat? If so, try using raw buckwheat groats and grind them into a fine flour in the food processor. It’s a simple swap for the oat flour and works well for those with allergies since it’s a seed. You may need to add in a bit more water because it can be more absorbent than oat flour. I’d love to hear how they turn out for you. I JUST made this with almond milk instead of water, and I made my own oat flour out of gluten free old fashioned oats. THESE ARE AMAZING. Hi, Emily! Thank you for taking the time to comment with your feedback and adjustments. I’m so happy to hear that you’re enjoying the recipe! I just pulled a batch out of the oven, I can’t wait for them to cool! I found that I didn’t have enough peanut butter or almond butter (even combined) so I added coconut oil since I saw another reader was using very whole and natural nut butter (mine is, too) and added coconut oil to hers. I was worried that I would have to add too much oil to make it a cup, since it was only about half a cup of nut butters, but I think the recipe turned out alright. I used my own gf flour blend (one part each of coconut flour, oat flour, brown rice flour, and arrowroot powder) and added about 1/4 cup of cocoa powder to the recipe, too. I’m very excited to taste them, they look perfect!! Thank you for posting such a simple recipe! These are delicious! I erred on the side of underbaking them since they continue to bake for a bit after taking out of the oven. I baked at 350 for about 8 min and they are perfect…slightly browned and crispy on the edges, chew in the center. My husband, who is a peanut butter cookie fanatic, loves these, and didn’t notice they are gluten and egg free. I used rice milk in place of the water and added a smidge more peanut butter (maybe 1 T). Thank you for posting this recipe, my egg-free kids appreciate it! You’re welcome! I’m so happy that you and your family enjoyed them so much. Thanks for taking the time to comment with your feedback and adjustments! Hi there! I use dark but either should work fine! Enjoy! Hi, Michelle! I’m so glad that you loved the cookies. Penzys is my absolute favorite brand of spices, but I have yet to try Baking Spice. That sounds amazing though, and I bet it really added oomph to the flavor in these cookies. Thanks for the creative twist! Yummmmm! So tasty. I only have natural peanut butter so I used a cup of that and added a couple tbsp of margarine to get a smooth consistency. I used the full cup of oat flour for a chewy cookie and also subbed a chia egg (1 tbsp chia seeds with 3 tbsps water) for the plain water as I wanted to be sure they wouldn’t crumble apart. They turned out wonderful, I have eaten at least 4 since they came out of the oven earlier today. Just tried these with my family; they were a huge hit! And we happened to have everything on-hand, thankfully! We’ll definitely be making these often. Uh oh! Hahaha. Have a good day! I made these yesterday for family, and they were perfect! Such a simple and easy recipe. I used whole wheat flour instead of oat. I hope you dont mind if I share the recipe on my blog? Hi Shashika! I’m so glad you enjoyed these cookies! You can share the recipe, just be sure to change the title of it (so that it doesn’t conflict with search results) and link back to my original post. Thank you! These turned out awesome! I wish I had measured everything because I may not be able to do it again because I didn’t have any peanut butter, so I roasted a pie plate of peanuts then processed them into peanut butter with about a tbsp of coconut oil and some salt. It turned out a bit runny for peanut butter. Then I had only 1/2 cup of brown panela sugar, so I added a bit of maple syrup (maybe 2 tbsp?). I processed all of this and it was quite crumbly. I ground up oatmeal to make about 3/4 cup. I added 1 tsp of baking soda and no salt because I oversalted the peanut butter. I put everything into a bowl and stirred by hand, adding 1/4 cup water. This was the perfect consistency and made perfect balls that weren’t sticky and didn’t fall apart. I added some chocolate chips, too. Baked at 350 and these came out as the most perfect and delicious cookies I have ever made. Thank you so much for this recipe! If I could give it more stars I would! I also used vanilla and flattened the balls with a fork, of course! Marilyn! Thank you so much for the awesome and detailed feedback/adjustments! I love that you made homemade peanut butter — so impressive and I bet that added such a rich flavor. Great idea to add in chocolate chips, too! I should really stress that I have been baking since I was a kid and I have never had such perfect cookies turn out before. Really?!?! What an amazing and humbling compliment. Thank you so much, Marilyn! You’re welcome, Wanda! I’m happy to hear that you and your husband enjoyed the cookies so much! These were fantastic! I made a coupe changes to adjust to my diet, however. I am on a no-auger-added diet which basically means you don’t add any kind of sweetener to anything (the thought is that the fiber in fruit and other sweet produce regulates your blood sugar). For this recipe, I substituted the Brown Sugar requirement for 1.25 cups of chopped dates. I blended the chopped dates, peanut butter, and almond milk together in a food processor until a fairly creamy consistency (dates are pretty hard to liquefy). I then used this mixture in place of the Sugar & Peanut butter requirements of the recipe. I also added raisins to the tops of the cookies for a healthier appearance. I don’t eat a lot of sweet things, but if I could choose anything for dessert, this would be it. Thanks! Hi, Jack! Thanks so much for the feedback and awesome substitution notes. I love that you tried this with dates and that it worked out so well! 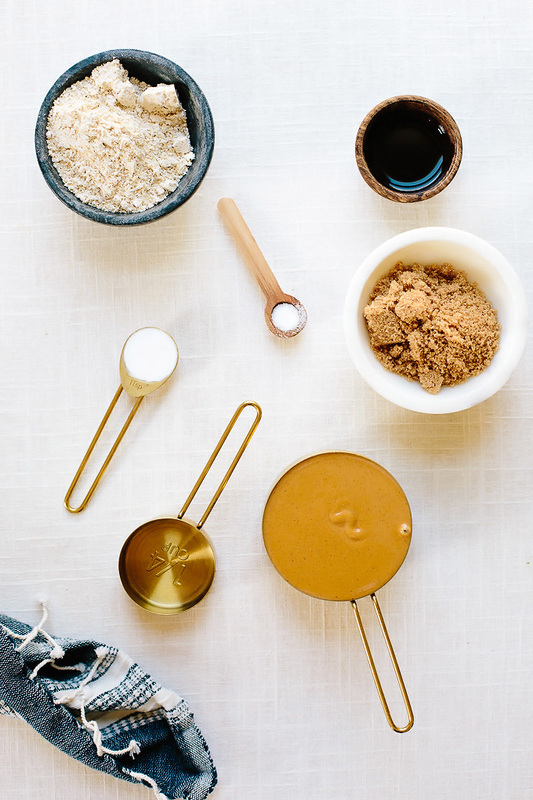 I’ve substituted coconut sugar before, but never thought to use dates — I can’t wait to try it. Also love the idea of adding raisins to the top. PB and raisins are such a solid combination. So glad you enjoyed this recipe! I’m making two big batches of these today for friends. This is about the fourth time I’ve made them, last time I added trader Joe’s semi sweet chocolate chips. They turned out delicious and I always use tjs peanut butter and they come out great. Doing one with crunchy one with creamy & chocolate chips today. I love these because they are vegan but also so easy and everyone loves them, vegan or not. So happy to hear you’re enjoying these so much, Rheanna! I seriously need to try adding chocolate chips, as I’ve heard so many good things about that addition. Love the crunchy/creamy variations, too! I bet crunchy would be delicious. Thanks so much for taking the time to share your thoughts! Great cookies!!! Minor changes to the original recipe, however, in that I used stir (100% peanuts) peanut butter and for liquid I used a quarter cup blend of water and maple syrup. I am Canadian, maple syrup belongs in everything eaten! They turned out absolutely delicious!!! Thanks, Jeff! And I love the idea of adding maple syrup. Although I’m not Canadian, I can get on-board with adding maple syrup to just about anything. It’s seriously the best and lends such a rich, caramel flavor unlike anything else. Thanks for taking the time to share your substitutions and kind words! No-stir peanut butter has palm oil in it which is a terrible thing to support. Hi, Claire. I’ll be completely honest: when I wrote this recipe a year and a half ago, I didn’t know about all of the issues with palm oil. That being said, I first learned about the issues about 10 months ago and should have updated the recipe to reflect this knowledge. It’s updated now. Thank you for your input. The taste was absolutely fantastic! However, the texture was terrible for me :( I put them in the oven for about 12 minutes and decided to get them out because they were already past-golden, but they were still incredibly soft…the texture resembled the batter, actually. Thanks so much for the wonderful recipe, I was *dying* for some PB cookies! Hi, Naty! I’m glad you enjoyed the taste but so sorry that the texture was off for you. Did you let them cool completely before moving them? They are more delicate cookies, but the texture shouldn’t resemble the dough after baking. Sometimes variations in the thickness of peanut butter can affect the texture. I would definitely try refrigerating the dough or adding more oat flour. I hope this helps, and I’d love to know how they turn out the second time around! Wowowowoowow!! So good, I had to go through the effort of leaving a comment!! I am so unimpressed by any baked vegan dessert I ever had but THIS. WOW! SO good!! I added a few more tablespoons of flour because it looked too wet and it was just perfect. Thank you so much. Hi, Stella! I’m so glad you enjoyed these cookies. Thank you for taking the time to share your feedback!! could you use cocnut milk instead of almoind milk, would it still work the same in the recipe? Hi, Sandra! I haven’t tried it myself, but it should work just fine as long as the thickness of the coconut milk is similar to almond milk. I’d love to know how it goes! I made the cookies and they are great. 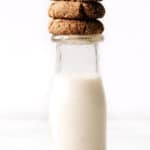 I find it very ironic however, that you make it a point to make them animal -free and animal testing free, yet you encourage readers to enjoy the cookies with a cold glass of milk. You should specify that it should be soy or almond milk to be totally animal cruelty concious. Just my comments anyway. Hi, Tracy! I’m happy to hear that you enjoyed the cookies, and I appreciate your input on specifying a plant-based milk rather than just stating “milk”. I hadn’t yet shifted to veganism at the time when I wrote this post in 2013, so I wasn’t as sensitive as I now am. So, although I wrote “milk” in this post with plant-based milk in mind, I didn’t think to clarify. I’ll make the clarification now though. Thanks for catching this and for commenting! These are really delicious! I’ve made them twice, once with oat flour and once with AP. Both times they needed to be in the oven for more than 10 minutes (maybe 15?…not sure if it has something to do with me using crunchy PB instead of creamy). Nonetheless, they were really delish, and I’m just in love with how easy it is to put everything together! Thank you so much for the recipe! MMMMMM!!! SO DELICIOUS! THANK YOU FOR THIS AMAZING RECIPE! 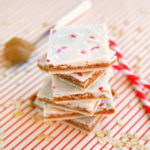 I had been scouring the web for a good recipe and was disappointed with all the ones I found, and I finally found yours! and it was super delicious and super easy too! My whole family loves them(and some of them are not too easy to please)! (I used 1 cup of whole wheat flour because I didn’t have any oat flour) Thanks again! <3 Will be saving this recipe. You’re welcome, Celeste! I’m so, so happy to hear that you and your family, tricky-to-please and all, enjoyed them! Also great to know that they work with whole wheat flour, so thanks for noting that substitution! I’m glad you enjoyed them, Mario! Thanks for taking the time to share your feedback — I really appreciate it. This is a great recipe, Ashley! 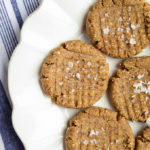 I had a favorite pb cookie recipe but was looking for a new one because the old recipe used added oil, and in my opinion with all the fat in the peanut butter plus the added oil my old favorite cookies contained way too much fat. 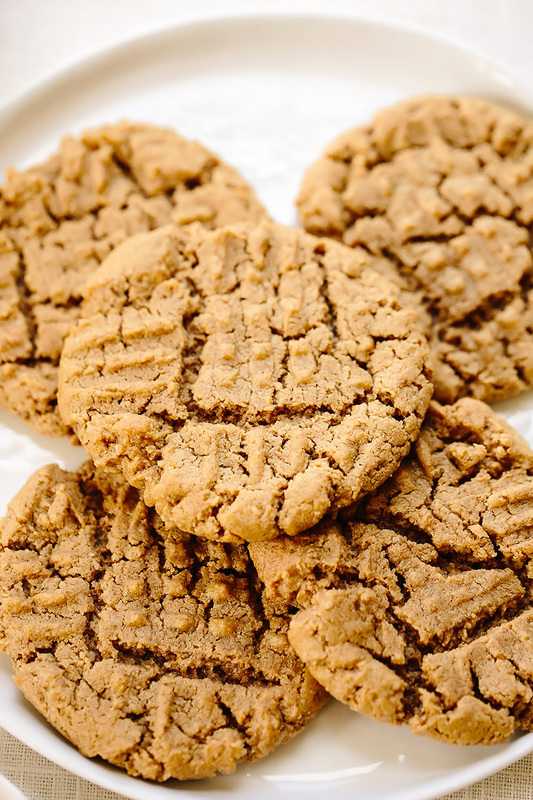 Your recipe proves a rich pb cookie doesn’t require additional oil or margarine! It is my new favorite! Hi, Bianca! Thanks for your awesome feedback. I’m honored that this is your new favorite pb cookie!! OMG these are perfect! 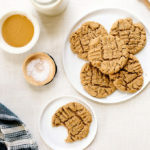 I just turned vegan and have been searching for a good peanut butter cookie recipe. You’d never know the difference. Thank you!!!! I used all purpose flour but still super tasty! Hi, Nancy! I’m so happy to hear that you enjoyed the cookies! I hope the transition into a vegan lifestyle is going well for you, and thanks for taking the time to share your sweet thoughts and feedback about the recipe. We love this recipe. It makes awesome chocolate chip peanut butter cookies (mini semisweet chips are absolutely perfect, and so cute!) But we also keep a stash of the unbaked dough, sans baking soda, balled up in teaspoon size amounts in the freezer as a quick fix or a nice cool treat. Since I’m not into eating raw flour or eggs, but the rest of my family just LOVES cookie dough, this is a great thing for us to have discovered. Also, it’s so much easier to mix up than our old favorite frozen peanut butter treat. So simple. Thank you for sharing this! Hi, Delynn! I’m so glad you’re enjoying the peanut butter cookies. I keep meaning to make them with chocolate chips as I keep hearing that they’re a great addition, so I’ll have to make that a priority the next time I make these. Also, fantastic idea to keep a stash of the unbaked dough in teaspoon-sized amounts! I think I’ll have to try that too. Thanks for taking the time to share your feedback! just made these with some homemade peanut butter that had a less-than-desired texture, but i didnt want to let it go to waste. All recipes comments are absolutely pointless and useless unless person commenting has made the recipe. Fortunately for anyone reading this, I made these cookies. I’m not vegan but was looking for a cookie recipe without butter to cut down on calories and fat. I’ve made a million type of peanut butter cookies and this one is really knocking my socks off!!! It’s incredibly flavorful, especially with the addition of semi-sweet chocolate chips(which I highly recommend adding). I made my own oat flour (makes sure it’s super fine). I also took another reviewers suggestion and added 1tsp. baking powder. I also used 1 cup oat flour because I like a chewy cookie. I had to bake my cookies for 11 minutes otherwise they did not set. Make sure to leave them on baking sheet for 5 minutes to cool and set. Resist the urge to eat them warm as they will be too soft. After completely cooled they were perfect! My kids won’t stop eating them! Thanks for sharing such a terrific recipe! Absolutely delicious! My omni FIL was all “Get the milk, these are so good!” Super tender, but not cakey. I used 3/4c oat flour. Next time I’ll try leaving the cookies in the oven for an extra 3-4 minutes. I recently made these cookies with my two young children (we love to cook together). It was such an easy recipe to follow! I used the full cup of oat flour and used half cup of brown sugar combined with half cup of coconut sugar. They are the most delicious cookies I have ever cooked, or tasted for that matter!! Our favourite family recipes are hand written on recipe cards and kept in a recipe tin. My son took one bite and told me that this recipe was going in “the tin”. Thank you so much for sharing this recipe!! Amanda, Samuel (aged 6) & Chloe (aged 3) – NSW, Aus. Delicious! I ate so much cookie dough that when the cookies were done- I was full! Thanks! I made these with Sugar in the raw and I used pure maple syrup instead of vanilla extract because I didn’t have any. I also subbed almond milk for the water and they were by far, the best gluten free baked goods I have ever made. I’m so glad you enjoyed them, Draeque!! Thank you for taking the time to share your feedback and substitutions. I really appreciate it! When I made these cookies and they were basically cooked crumbs :/ any suggestions on what to do next time? Hi, Valerie! I’m so sorry that you’re having trouble with them. Can you provide a bit more info regarding what the dough looked like before baking, what type of pb/oat flour/sugar, and how long you let them cool before moving them? I’ve never had anyone note this kind of problem before, so the more information I have, the more I can help problem solve. I just finished making (and eating) these! I was looking for a peanut butter cookie recipe using no eggs and came across this! I substituted the oat flower for regular all purpose flour. When they came out of the oven they were flat as a pancake and had all melted together… I may have made them a tad too big. I let them sit for 10 minutes and then cut them all apart. Besides the fact they don’t look that pretty they sure do taste delicious! Thanks! I can make peanut butter cookies for adult students and this recipe is one that receives special repeat requests. I do use white flour instead of oats unless I have a request for gluten free. This recipe was also a favorite of the folks who are allergic to chocolate! Hi, Kat! You can but the vanilla really adds a nice depth to the overall flavor. If you opt to leave it out, you might need to add a bit more plant-based milk/water depending on the type of peanut butter you’re using. I hope you enjoy these! I made these once and all my family loved them! Now I have to make triple recipes almost everyday! My mom hated peanut butter cookies, but after eating these, it’s her favorite cookie. Still, for a vegan cookie, these are super great. Great recipe!!! These cookies were really tasty. However I wish I could upload a picture a how awful they turned out haha. Mine turned out super flat and expanded way too much. I don’t suggest using whipped peanut butter and using a Pyrex dish instead of a baking sheet. We still ate them haha I will be trying again! This is the only time I have ever written a review for a recipe. These cookies are the best peanut butter cookies I have ever had! My mom said they reminded her of her childhood. When i was making the batter it was supper oily, i think it might have just been the kind of peanut butter I used but im not entirley sure. After puting them on the cookie sheet I decided to pat them with a paper towel to soak up some of the oil (i ended up using 3 paper towels and they were drenched in oil). I was not sure if they would turn out but i put them in the oven any ways, it did take them 20 minutes to cook but when done they were amazing!! and not oily at all. Hi Nicola! Im glad to hear you’re enjoying them! As for problem-solving the oily dough, when did you add the water/almond milk? If it’s added before the oat flour or with the oat flour, it reacts with the nut butter and can create an oily dough. When added after beating the oat flour in, the texture is entirely different. Sometimes the type of pb can make a difference too, but natural peanut butter typically works great in these cookies. I hope this helps, and thanks for taking the time to share your feedback! My absolute favourite pb cookies! I’ve made them twice and both times I subbed the regular brown sugar for 1/2 cup honey and 1/2 cup muscovado sugar. They came out tasting like nutty caramel. I opted for 1 cup oat flour, and one time I added some chopped chocolate :) Fabulous recipe! I just want to thank you for this recipe !! I’m little one will not touch cookies until I made this recipe ???? You made a 4 year old girl very happy. If I use coconut sugar do I use the same amount? Thank you again. Thank you for getting back to me so fast !! My little doesn’t like anything with bread at all.. ???? But she really likes these is there a bread recipe that use oat flour ? I used ingredients that I had around the house and it came out delicious! I only had 2 teaspoons of almond butter and used the rest of my husbands favorite Peter Pan honey roasted Crunchy peanut butter. Did not have brown sugar but I did have cane sugar. I had 1/3 bag of Red Mill Whole Oats (which I blended) and used RICE FLOUR to complete/substitute the rest. I used Almond milk instead of water. After the cookies were done baking I added Powder sugar on top. This recipe allowed me to explore my kitchen and I thank you for that. Thanks for this beautiful recipe! This was my first time baking cookies and I felt unsure all the way, but they turned out delicious. I used regular flour mixed with whole-grain spelt flour, and made them thicker than on the pictures. Any tips to make them more chewy? The texture was a little crumbly for my taste (though still yummy). You’re welcome, Jordi — I’m happy to hear you’re enjoying it! I haven’t played around with using regular flour and/or whole-grain spelt flour, so I’m not sure how to make that combination a bit chewier. However, if you up the amount of oat flour to 1 cup, it will yield a slightly chewier cookie. Also, I find that using homemade oat flour (i.e., grinding a cup or two of oats in a food processor for 4 minutes+) yields a chewier texture than using store-bought oat flour. I hope this helps! Side note: I have a soft and chewy variation of these cookies in my cookbook (coming in Dec. 2016), and I so wish I could share the recipe now! I think it is exactly what you’re looking for. Thank YOU, Lori! I hope you enjoy the recipe, and I hear you on oat flour — it’s absolutely the best! With the exception of occasionally using spelt flour to make bread/rolls, I exclusively use oat flour. It works wonders in baked goods, doesn’t it? Thanks so much for this recipe. 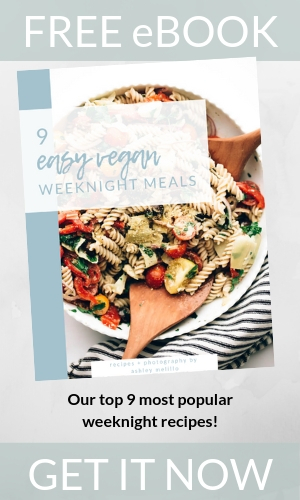 Our family is becoming vegan and I was looking for recipes for the whole family to enjoy, especially our two kids. (This is a huge transition for them obviously being born into a meat eating family.) 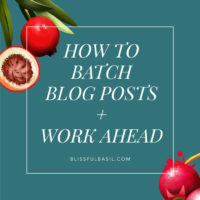 So I ran over your blog and saw this recipe. Keep in mind my husband and son HATE peanut butter cookies. But these cookies were a hit!!!!! My kids kept getting the crumbles of dough and eating it, while my my husband kept sneaking downstairs for more!!!! Your recipes are amazing and are really helping with our transition into veganism. Keep up the amazing work!!! These were absolutely amazing!! I used gluten free (rice) flour, white sugar, almond milk and also added raisins and dark chocolate! My boyfriend has coelics disease and I’m vegan, we both LOVED them! He said they’re great with ice cream! any idea if substituting agave for sugar would work with these? And how much in place of brown sugar? Thanks! Hi, Jessica! I don’t think agave would work because it would make the dough too runny. Coconut sugar works great though! These were so good! I had a late night cookie craving too. I needed cookies so badly that I didn’t even go out to get all the ingredients, so I had to leave out the vanilla and use all-purpose flour rather than oat. I added some cinnamon too, to give them a bit of excitement (I’m on a cinnamon kick right now). I also didn’t read the instructions until the ingredients were already together in the bowl, soooo I just mixed up everything really well, and that worked out! They taste great and were super quick, thanks! I made these cookies today and the only thing I changed was adding 1 cup of oats (quick oats not whole) without turning them into oat flour because I didn’t have the time. I also used Jif Peanut Butter. I wasn’t too sure how they would turn out. However, they turned out awesome and my kids gobbled them up. This is my new favorite recipe! I’m not vegan, I just didn’t have any eggs and needed cookies in a pinch for my hungry kids. I think I would recommend sticking to the natural peanut butter because mine were a little on the sweet side which I blame on the peanut butter I used. Awesome recipe, thanks! This will be the one i’ll bake from now on. I made some minor changes . I put less sugar and no salt and a cup of flour. I did did it once before and the cookies were like flat galettes so putting more flour just made them perfect and so delish. I have tried many pb cookie recipes, but this is the best! I am gluten free and my mom is allergic to palm oil. I finally found a pb that is just peanut and salt, so she can eat it and because you made this recipe with oat flour from the start, I can eat it too. Can unrefined sugar (as in Sucanat) be substituted for the brown sugar? I’d like to reduce the sugar in the recipe as well and wonder how much reduction can be made without compromising the taste and/or texture of the cookie? Thanks for the advice! Hi, Amanda! Oat flour is actually naturally gluten-free. However, if you have a gluten allergy or intolerance, you’ll just want to make sure you buy oat flours or oats that are “Certified Gluten-Free” because there can be cross-contamination that occurs during processing if the oats/oat flour come into contact with grains or products that do contain gluten. I hope this helps clarify. My NP has just informed me that it’s not just a cross-contamination issue, but that oats have a protein that is very close to gluten and so must be avoided if there is a gluten sensitivity. Thanks for your earlier suggestion to try buckwheat flour, or the (awful/boring white) GF flour mix at my health food store. Sounds like all experimenting will be worth it! THESE WERE AMAZING! I am the only vegan in my family and everybody agreed these were better than regular pb cookies. 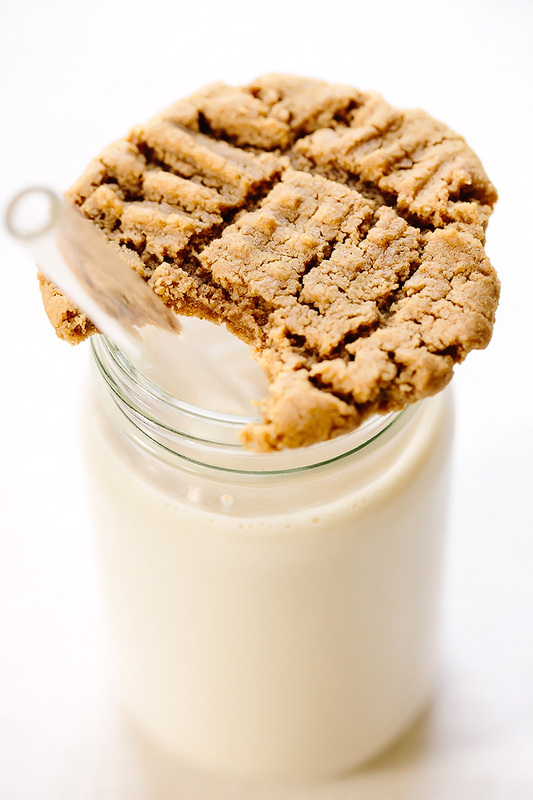 Finally a great vegan peanut butter cookie recipe.! We love these soooo much. My sister and I are both allergic to sugar so I used 1/2 c Xylitol , This does not send your blood sugar reeling. This is a great recipe. Very tasty but are very thin coming out of the oven. Is there a way i could make then thicker. I tried a few things : more baking soda but it altered the taste . I don’t flatten them much but still they spread . 1) Make sure you’re baking the cookies on pan that’s lined with parchment paper. This is very important and has a significant effect on stopping the cookies from spreading. An unlined pan or (worse) a greased pan will cause the cookies to spread as they bake. Also, make sure your pan is at room temperature (not warm or hot) before forming and placing the dough on it. 3) More baking soda will actually cause the cookies to spread more, so definitely stick with the amount listed. 4) If you’re using homemade peanut butter and it’s particularly runny or oily (more so than most natural peanut butters), this could cause the cookies to spread. In this case, I would add another 1-2 tablespoons of oat flour to thicken up the dough and reduce spreading. 5) If none of the above work, check your oven temperature with an oven-safe thermometer to ensure it’s actually the temperature it says it is. Ovens occasionally need to be recalibrated as they can be running higher or lower temperatures than the display indicates. If your oven temp is too low, this can cause the cookies to spread. And if all of the above fail, you can try chilling the dough for an hour before baking which will reduce spreading. This is an extra step and added time, and I’ve never had to do this for these cookies (and I’ve made them over 25 times) but it will help. As a family we are trying to lower our animal consumption, and these cookies fit the bill! I didn’t feel like I was eating “substitute” cookies in any way. They’ve been a big hit with family and friends too. I hit the print button under the recipe and it printed 41 pages worth of pictures and comments. So….I’m sure these are delicious, but maybe fix your print function? Oh no!! You’re kidding me?! I am so, so sorry. That definitely should not happen—thank you for letting me know, I’ll see what I can do to fix this asap. I’ve made these cookies half a dozen times, so I guess it’s about time to leave a review! Note: I make them with two alterations. I use regular flour, and use 1tsp vanilla extract and 1tsp almond extract (which I STRONGLY suggest trying, you really taste it in the final product). These are delicious! Easily one of my favorite cookies and easy to make. It can be tricky to pull them out of the oven at the right time – I usually have them in for 10 minutes and tap the center before taking them out to make sure they’re still soft but on their way to solidifying. They’ll finish while cooling. I just made these for my non-vegetarian / non-vegan housemates (using half-almond and half-peanut butter) and they LOVED them and even begged for the recipe. Thank you!! These were delicious. These are awesome! Totally satisfied my pb cookie craving. I made some of them thumbprint cookies and put some apple butter in the centre when they came out of the oven. Yum! These are amazing! I had to leave them in the oven for about 12 minutes, but that could have been because I added almonds to them. Wow oh wow!!!!! Speechless!!!! These were amazing!!!! Talk about a crowd pleaser!!!! everyone was soooo surprised when i told them they were vegan!!!! Thank you soooo much for this amazing recipe!!!!! Had my wisdom teeth out a week ago. I can start eating more foods now, and I have been craving cookies after a week of smoothies, soup, and applesauce. Admittedly, I wasn’t prepared to make these: I didn’t have enough ingredients for a full batch. I didn’t have enough peanut butter for half a batch. I used mostly pb and then almond butter for the rest. I used a pinch of coarse salt. I made my own oat flour in a tiny Cuisinart machine. It was very rough. I used too much almond milk. I don’t have a blender, so I used a spatula, and then my hand. The batter was sticky. It didn’t form “balls,” and the fork stuck when I tried to make the little tracks. It took longer than 10 minutes to bake them. But. They are AMAZING. I haven’t had peanut butter cookies in years and years; not at all since I’ve been vegan and gluten free. These came together in minutes and the result is beautiful and delicious. Very soft. Slightly chewy. Quite perfect for my now stitch-free gums. Thank you so much. Will make again and again. Made these today, substituted oat flour for almond flour, added chocolate chips and slivered almonds. So delicious!!! I’ve never commented on a blog in my life. But when I first started seeing my vegan boyfriend, I was intimidated to say the least. I’m from the South and cooking without butter in everything seemed sinful to me. With trepidation, this was the first thing I made him. Not only did he love it, but I did too. It is now a staple in my home now and eased many friends into my own transition with this recipe. A year later, I am fully vegan and still with my guy. All that to say; thank you. These are delicious and easy to make. Perfect for impromptu baking and you can’t tell that they are vegan. I cannot recommend these cookies more highly! Well, even with forgetting the water, these cookies tasted amazing! I used them as a base for Peanut Butter Blossoms and they worked out great. However, without the water, they were crumbly, so I turned the lot of them into bars (adding some coconut oil for some liquid) and then topping with melted hershey kisses. Delicious! I made these as I had a jar of Justin’s almond butter, wanted to make cookies and had no eggs! I used a convention bake for 8 minutes, and replaced the vanilla extract with hazelnut syrup. I also made the sugar 1/2 light brown sugar and 1/2 refined white sugar. I also replaced the flour with regular all purpose white. These came out awesome!! I followed your recipe exactly except that I used extra chunky peanut butter. Oh man! These are so wonderful! Thankfully I’m out of brown sugar now or my husband would want me to make another batch tomorrow. Thank you so much for sharing this easy, terrific recipe! before putting on the baking sheet and flattening them down some.. Ohhh so good.. This is my new go to peanut butter cookie.. Even my hubby loves them! Is it okay to add some sunflower seeds to the dough? Or will that make the cookies too hard? Hi, Janna! I’m honestly not sure as I haven’t tried it myself, but a small amount shouldn’t cause any trouble. Hi, Angela! Yes, you can use an electric hand mixer (that’s what I use). I can’t vouch for the results if you use hemp seed butter, because I haven’t tested it before but I’d love to know how it goes if you try it! How did it go with the hemp butter, Angela? These are the BEST peanut butter cookies. Tried several over the years and they are not peanut buttery enough and/or too doughy. These are perfect. Chewy and perfectly peanut buttery. Also, these work as a dessert for my extended family with a mixed bag of allergies. This recipe is getting laminated. Thank you! Worst cookies I’ve made. I was sad to waste all these good ingredients. It was like cookie dough consistency until I added the liquid, now they’ve fallen into a soggy mess as I tried to lift them off the baking tray :( apparently 0 or 1 star isn’t an option, but this was definitely a batch of 0 star cookies. They’re not even cookies, they’re a mushy mess. Hi, Catherine! I’m so sorry to hear the cookies didn’t turn out for you. Did you happen to make any modifications? Happy to help problem-solve. Also, a 1 star rating is an option, although sometimes the plugin can be finicky depending on the browser. I’d change it for you if I could, but I’m not able to on my end. I cooked these last night and, holy cow, were they A-maz-ing! I used brown rice flour and almond milk (instead of water), then followed the rest of the recipe exactly (10mins cooking time). You just won a new subscriber to your newsletter with this recipe! Awesome share! I forgot to mention, I also cut up an Endangered Species Dark Chocolate bar, then put a small piece in the middle of the cookie after flattening them with a fork. The chocolate melted while cooking, and was the perfect finishing touch! So happy to hear you’re enjoying the cookies, Felicity! Thanks for taking the time to come back and share your thoughts, adjustments, and add-ins. Thank you also for signing up for the newsletter—hope you enjoy! These turned out absolutely delicious! I followed the recipe exactly and they were perfect! These really are dynamite, foolproof cookies. The guests at my vegan B and B are loving them!! These are amazing. I’ve made them several times. They are also easy enough for my kids to make. Do you have any idea on calorie count? Thanks, Amber! So glad you’re enjoying them. I don’t have a calorie count but there are lots of great calculators online! Hi, Ashley. Hmm, that’s so strange. They shouldn’t be at all crumbly (in fact, the dough should be a bit wetter/looser than most). No stir peanut butter could certainly make a difference but many readers have used that type without any problems (typically just yields a firmer dough, but not crumbly). I’d definitely recommend trying it again with natural peanut butter. When you checked the cookies at 10 minutes, what did they look like/why did they appear to need double the bake time? Just wondering if the baking time could be the cause of the crumbliness because I’ve never had to bake these more than 10 minutes. They actually bake very, very quickly. However, as noted in the recipe, they’re very soft and delicate when they’re removed from the oven but firm up as they cool. The only other thing I can think is if the oat flour was compacted while measuring (all flour should be gently scooped and then leveled off without compacting, but especially oat flour and other gf flours). Oh yes, and if there’s any chance that oat flour was accidentally or intentionally substituted with coconut flour then that would most definitely be the cause of the crumbling as coconut flour is not a suitable 1:1 substitute for any flour due to its highly absorbent nature. Just took the last batch out of the oven mmmmm I can’t stop eating them! Followed the recipe with one tiny exception…I only had 1 teaspoon of vanilla extract left so I added 1/2 teaspoon of almond extract ( AmaZing ). I made my oat flour with Bob’s Red Mill Oats and used NATUR ( all natural) creamy peanut butter. As you said, they bake fast…took them out at 8 minutes…and they firmed up once they cooled down. Delicious. I had a random craving for peanut butter cookies and because I don’t typically eat sweets, I was limited on ingredients. These were EXACTLY what I needed. These cookies were so easy to make, I thought I must’ve done something wrong! Thank you so much for this recipe! Best peanut butter cookie recipe I have ever used, my family loved them. Delicious peanut butter cookie recipe!! I changed it up a bit because I’d what I had. I did a full cup of flour, but half was coconut flour the other whole rolled oats. Also, I used a cup of turbinado sugar, it gave them a nice texture inside. I used lite coconut milk in place of the water and honestly, I forgot the salt! But my natural peanut butter must have had enough favor because they came out amazing. Smaller and thicker, but chewy, tasty, and only took 8 minutes! Kids LOVED them too. Thank you for this recipe!! Mine came out a little differently, probably because I used PB powder (mixed with water) instead of regular PB. And I don’t have a mixer, so I had to mix by hand. I thought they wouldn’t turn out right, but they are delicious and have a wonderfully light and fluffy texture! I already ate three haha! I shared on my Instagram (@justpeachyportraits) and tagged you. My daughter is in middle school and I’m trying to teach the ropes of cooking. This recipe was easy, quick and very tasty. Do you think I can cut down the sugar for 1/4-1/2 cup and use more flour? Hi, Sam! Unfortunately, I really can’t say because I haven’t tested the recipe that way. You can, however, use coconut sugar (lower glycemic index) as a substitute for the brown sugar if you prefer cookies that are slightly less sweet. Hi I made a similar recipe, the ratio was 1/2 cup peanut butter to 1/3 cup sugar… But I used 1/4 cup sugar (so 2:1 for PB: sugar) they were great… Any sweeter would be too much for me… Personal preference, just try it and see what you like. Ashley, thanks for the tips (like the cookies bake FAST, 50/50 peanut/almond butter, homemade oat flour, coconut sugar instead of brown sugar). I used these tips when baking… Yum!! I just love this recipe. Only thing I add is some chia seeds. Not that is needs altering in any way, I just love chia seeds. :) Thank you so much for the great recipe. I LOVE THESE!! These are the bomb dot com! Some of the best vegan tender & soft cookies I’ve EVER had! omgggggg! these are soooooo gooooooooooood!!! I can’t believe how good these are and that they’re vegan! Vegans represent! Thanks, Janice! I’m a little confused though—I’m vegan (have been for going on four years) and certainly don’t hurt animals. Ahh, now I understand. Looks like all five of the most recent comments on these were submitted from the same IP address (i.e., from the same person using different names and email addresses). Some comments were positive, some were negative. Guessing this was a test of sorts. For the record, I post all comments—positive or negative, so long as they’re 1) respectful and 2) the person shares their true email address and first name. Hi, Cassidy! They are vegan. Hands down, the best peanut butter cookie recipe I’ve ever tried. I am the world’s worst bakers, but I did not mess up this recipe. It was so simple and it came out so good. 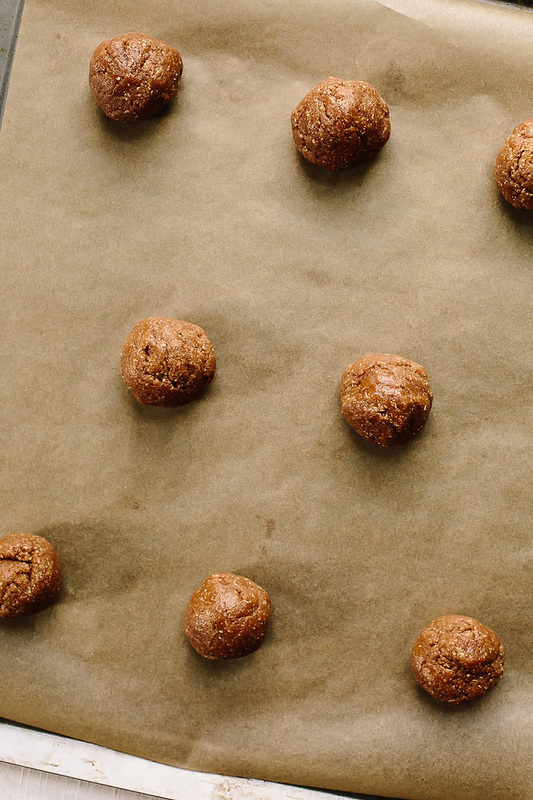 This has become our new go-to pb cookie recipe. Thank you! These are hands down the best cookies I’ve ever made so THANK YOU! They are melt in your mouth delicious. They spread a tonne but they were still tender and chewy inside. The best use of peanut butter for sure. So happy to hear you’re enjoying the recipe, Christel! Thanks for taking time out of your day to come back and share your thoughts—means so much. Happy baking! Did you think protein powder instead of flour would work ? Hi, Leah! I wouldn’t recommend substituting protein powder for the flour. These cookies are so fantastic! I’ve made them a few times and they are always a crowd favorite. And gluten free too!! Thanks! Happy to hear you’re enjoying them, Chris! Thanks for taking the time to come back and share your thoughts and rating—means a lot! I made these cookies and tweaked the recipe a bit by using coconut sugar in place of the brown sugar, and threw in some oatmeal because my dough looked a little runny. I also used homemade peanut butter and they turned out great! I love recipes that use minimal and natural ingredients. Thanks! Thank you. This recipe is delicious! Every time we crave a cookie, my husband makes these. We cut back on the sugar by half, but otherwise follow your recipe exactly. We’ve also, made these with almond butter mixed with peanut butter. Peanut butter with sunflower butter, etc. Whatever we had on hand. The cookies always turn out delicious! So happy to hear you and your husband have enjoyed the recipe! Thanks for taking time out of your day to share your feedback and adjustments—so helpful for me and for others, too. I just tried the cookies and they are really yummy! I love that they are so easy to make. I only had chunky peanut butter at home an like the texture of the cookie very much. Hi, Anika! Actually, oats are naturally gluten-free. Occasionally, they can become cross-contaminated by other gluten-containing flours/grains during packaging, which is why those with gluten intolerance often purchase oats that are certified gluten-free. These turned out perfectly! I doubled the recipe and used 1/2 soymilk, 1/2 water instead of all water, but otherwise followed the recipe. Tip to anyone with a good blender, I just whizzed some quick-cooking oats in my blender to make the oatmeal flour. Easy and delicious! So glad you’re enjoying the recipe, Laura! Thanks for taking time out of your weekend to come back and share your thoughts and adjustments. Hi, I’m excited to try these. Can you clarify if you used “natural” single ingredient peanut butter, or the more processed kind? I know they bake differently. Thanks! Hi, Lesley! I use natural peanut butter but both types work. Enjoy! Aww, Katelyn! Love this feedback. So glad your initially hesitant aunt warmed up to the cookies. Thanks for taking time to come back and share your thoughts! Hi, Indigo! So happy to hear you enjoyed the cookies (and how nice of you to prepare them for the family you stayed with). Thanks for taking time out of your day to come back and share your thoughts and also your adjustments. Great to know they turned out using white flour! These are our go-to peanut butter cookies. My daughter has an egg allergy, and these our the best vegan cookies we’ve made. They are just great cookies (vegan or not)! I am going to checking out some of your other vegan recipes! So glad you and your family are enjoying the cookies, Brenna! Thanks for taking time out of your day to come back and share your rating and thoughts—means so much. Hi Ashley! With the measurements, 1 Cup is this US Metric Cup? Do you know if this differs from Australian 1 Cup? This recipe is great, I have been failing on vegan cookies and I have redeemed myself with my husband on cookies. In case anyone wanted to know, instead of oat flour, I use regular all purpose unbleached flour. It worked great. So if you do not have oat flour or oats, do not worry. I had oats but I was just being lazy in making the flour. Thank you so much for the recipe. I cannot wait to make them again. So happy to hear you and your husband enjoyed the cookies, Porsha! Thanks for taking time out of your weekend to share your rating and feedback. Means so much! Can i make this dough ahead of time and freeze for 2 weeks? Hi, Denise! That should work just fine. I’d just recommend thawing the dough before baking. Enjoy! I really liked these. I ran out of peanut butter so I used about 3/4 cups of cashew butter. I think next time I will scoop them out in 1 Tbsp increments rather than 2 Tbsp. So glad you enjoyed them, Jessica! Thanks for taking the time to come back and offer your rating and notes—really appreciate it. I have posted twice and don’t see my post. What am I doing wrong. Do you censor comments ? Hi, Lynn! I replied to your earlier comment about censoring comments (that you posted in response to the peanut butter blossom recipe). Here’s my reply: Hi, Lynn! When did you leave a review? I don’t censor my comments (please see my FAQ page for details), but there are literally hundreds of spam comments that get filtered out each day and occasionally a genuine comment gets swept into there so it’s possible that happened. Would love to hear your thoughts on these! Can I use gluten free all purpose flour for this recipe? Yes, GF all purpose flour should work just fine for this recipe. Enjoy! These are the best cookies !!! Thanks, Tati! Happy to hear you’re enjoying them. Really wonderful cookies, simply , delicious and almost all gone. So glad you’re enjoying them, Megan! Thanks for taking the time to let me know. Happy to hear you’re enjoying the recipe, Veronica! Thanks for taking the time to come back and share your adjustments and rating—means so much to me and is helpful for others, too. Ysorry, I meant 10 cookies per baking sheet, 20 cookies total.